Thank you Rochester Area Foundation! 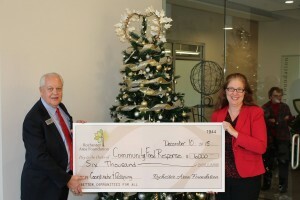 Thank you, Rochester Area Foundation, for your generous grant to CFR. Community donations like this allow us to purchase kitchen supplies and equipment that help ensure the safety of the food we serve and the well-being of our clients.